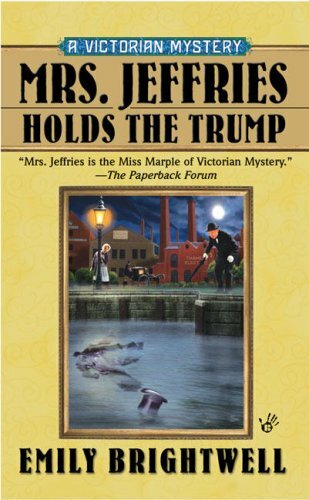 Another great Mrs. Jeffries' mystery! Will release at the bookcrossing meet-up tonight. Enjoy! always enjoy these stories, will look for more. Picked up at the Lower Mainland BookCrossing Meetup tonight. Emjoyed this one - like this series. Lots about Victorian London and lots of clues to think about too. These read well and I'm going to look up the Chelsea Vestry Wharf (even if it no longer exists). I just have trouble imagining a household, even a bachelor's, that would provide the amount of free time this staff enjoys and the number of "upstairs" people who consort with a neighbour's kitchen staff. And would a police inspector earn enough to maintain a staff of this size and a carriage and pair as well? Good story, though, and enjoyed it. My husband has had this buried in his stack for a year apparently but now we can release it again. Taking this to meetup. Why not join us at the Rhizome for a coffee or more? If no one takes it it will be left near the door. Picked up for the mother in law. It'll be heading out to Alberta in the next box!